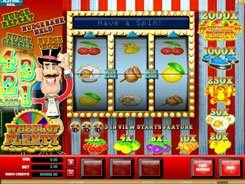 Find out whether you are a real darling of fortune in this Microgaming’s slot fitted with three reels and five win lines. 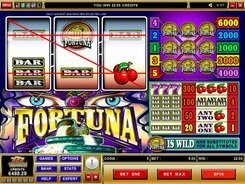 Fortuna is a classical slot, so it has a traditional set of symbols, namely, cherries, sevens, bars as well as the Fortuna logo that adds some modern twist to the retro arrangement. 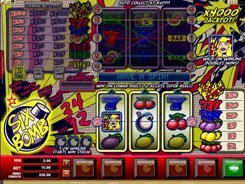 Three matching symbols hitting an enabled payline award a payout as per the paytable. 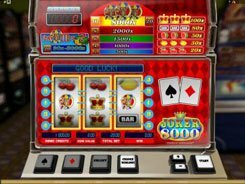 The cash equivalent of your coin winnings depends on your original bet per line, with a coin denomination varying between $0.25 and $5. You’ll be happy to roll up the Fortuna logo on the reels as it serves as a wild symbol. A wild can complete a winning combo replacing any missing symbol. 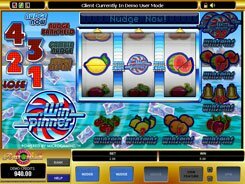 Three wilds appeared on an active payline pay out a jackpot, depending on the line it hit. 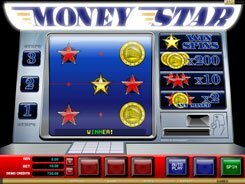 If five wild symbols display on the fifth payline, you get the highest jackpot of 6000 coins. 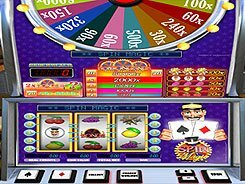 Line #1 is the least valuable payline for wild wins as you get only 1000 coins for three wild symbols landed there.